Here at Mozzone Lumber we love Spring. The grills are back in action and the outdoor entertainment begins! 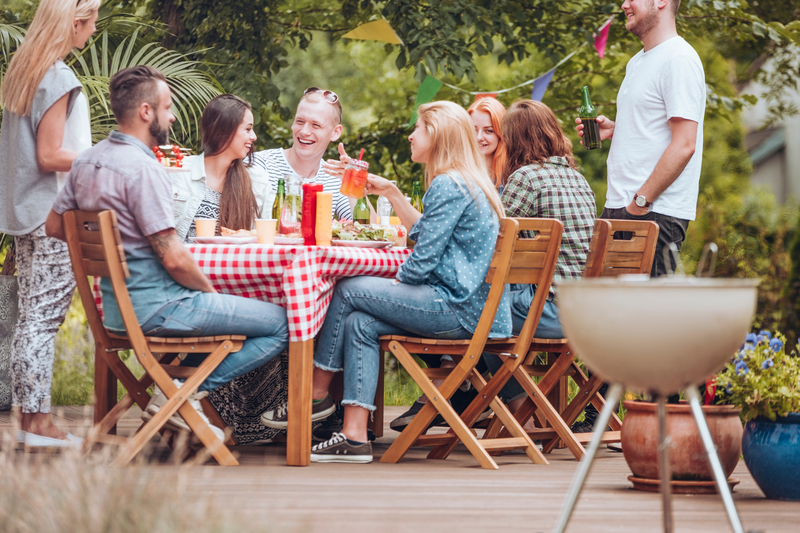 Spring is also the perfect time to open up the windows and let the outdoors come in, not to mention prepping that outdoor space for your next neighborhood party. We searched through some of the hottest trends in home design and have found three trends that you can expect to see a lot more of in 2019. 1. Bring the Outdoors in with Window walls. Everyone loves a bright kitchen. 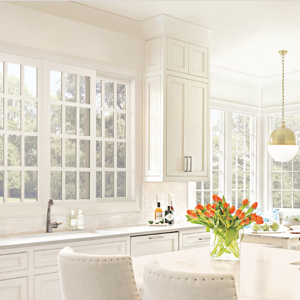 The latest trend in kitchen design replaces traditional cabinetry-lined walls with open, light beaming window walls. This unconventional trend not only offers welcome relief for the eye, but also the obvious benefit of letting more natural light into the space. Cabinet design has become much more efficient in recent years-- but do more windows cause an inevitable storage shortage? Better Home & Gardens makes a good case that allows you to forego some of your upper cabinets to let that light shine in. By choosing deep drawers on the perimeter and base cabinets that bring items at the back of the cabinets out into the open means that fewer kitchen cabinets are needed overall. Look for designers and homeowners in 2019 to shift to removing upper cabinets on at least one kitchen wall, often to create an expansive window wall that can deliver views and lots of natural light. Check out our Window Wall | Kitchen Pinterest board to plan your next renovation. 2. Pergolas, metals and pinks, oh my! 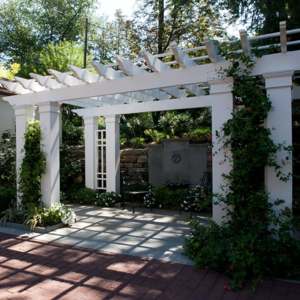 Pergolas, metals, and pinks will be the leading landscape cravings of 2019, according to the National Association of Landscape Professionals. A staple of landscape design for years, pergolas constructed of wood or composite material are now becoming more sophisticated with major upgrades, including roll down windows, space heaters, lighting and sound systems. When paired with a luxury outdoor kitchen, seating area or fire feature, pergolas can become the talk of the neighborhood. “Functional elements are no longer a perk, but rather a necessity in today’s landscapes, as consumers desire stunning outdoor features that have been cleverly designed to serve a dual tactical purpose,” according to the NALP. So, what style pergola are you? Lodge? Contemporary? For inspiration, check out the DIY Network or our own Pergolas | Outdoor Spaces Pinterest board. 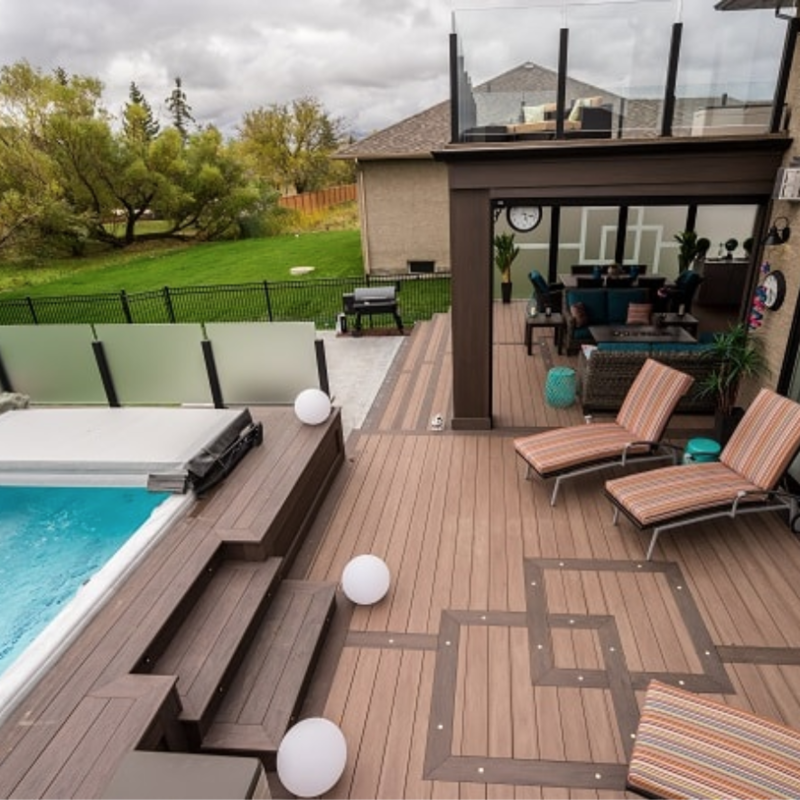 Decks have been popular for sometime but new construction and remodeling are driving growth in composite decking. The days of having to use only wood for your decking boards are gone. Today you now have plenty of composite and engineered wood options to choose from that may align with your design or functional needs better than the traditional hardwood. Hardwoods and other natural choices are certainly still available, but if these don’t work for you there are plenty of sustainable alternatives. Another great way to add ambience and safety to your outdoor spaces is to consider low-voltage lighting with elegance and modern angles. Consider easy-to-install lighting accessories for your deck such as post cap, step light, deck sconce, and post sconce lights to complement your decking and railing. Take a look at our Pinterest Decking Board to begin planning your outdoor updates.